I’m not sure if Kenya and Chloe like pancakes or foods cut into heart shapes better, so I combined the two in these Heart Shaped Pancakes. There’s a simple secret to making this recipe in the video and trust me when I say they’re a ton of fun! 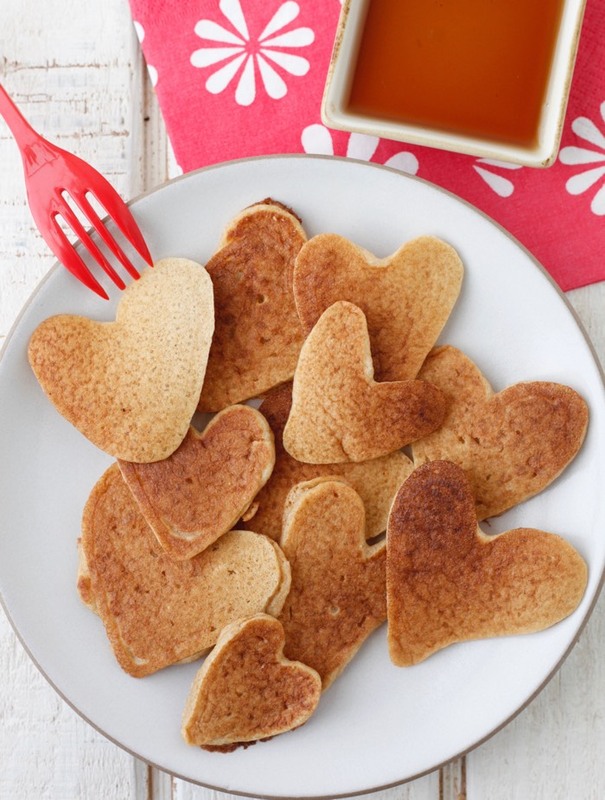 I actually had to get the kids up for school in the morning at different times because without fail you’ll hear plenty of “it’s my turn, no my turn!” They love making these Heart Shaped Pancakes. 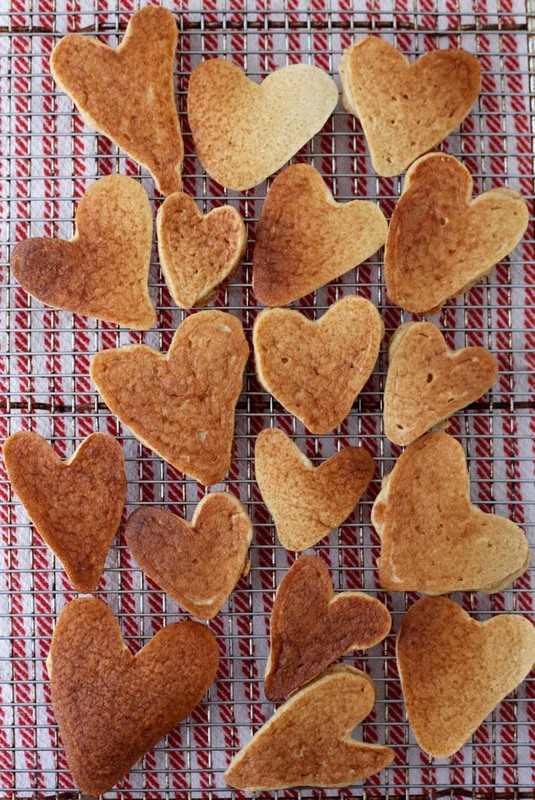 You can use Whole Wheat Pancake Batter, Gingerbread, Nutella, Pumpkin, or Red Beet Pancake Batter to make these little gems which are perfect served with maple syrup, honey or Raspberry Sauce this Valentine’s Day or any morning for your loved ones. You don’t need cookie cutters that tend to make a big fat mess and possibly burn your hand in my experience for these either. 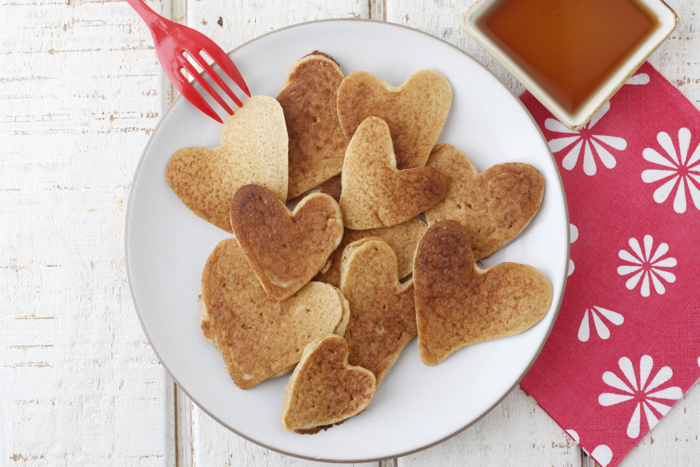 The best part is that since they’re made free form you can get incredibly creative turning this edible craft into a lazy Sunday morning treat this Valentine’s Day.